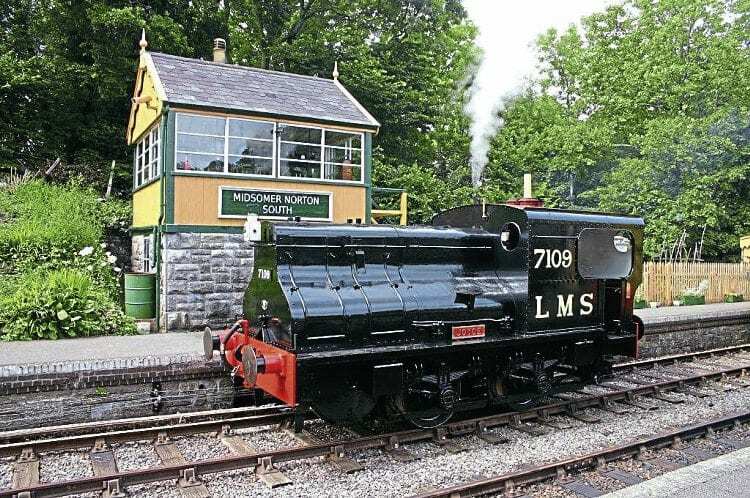 A STANDARD ‘4MT’ tank will finally reappear at Midsomer Norton South – 50 years after the closure of the Somerset & Dorset route, and after multiple failed preservationist attempts. Llangollen Railway-based No. 80072 will be the star turn of the S&D Heritage Railway Trust’s September 10-11, 17-18 steam weekends in a reprise of the dying embers of the railway as a going concern in 1966. Then, class member No. 80043 was one of the last locomotives to work over the line on its last weekend in March. Passengers will be conveyed over the rebuilt third-of-a-mile section of line towards Chilcompton in the sole operable Mk1 carriage that is in use at Midsomer Norton. That has shades of the Bath Green Park to Binegar ‘locals’ in the line’s latter days, which were down to a solitary coach by 1965. Renumbering as S&D veterans Nos. 80041 and 80043 is planned.